WILL ALL OF MY MEDICAL BILLS BE DISCHARGED IN A ST LOUIS BANKRUPTCY? Yes, they will. Medical bills (whether they are from a hospital, specialist, or your regular family doctor) are described as “unsecured”. That means that these debts are subject to a complete discharge in a St. Louis bankruptcy. Unfortunately, there are thousands of people each year who must file for bankruptcy protection because of a high amount of medical bills. This can occur to people who even have decent health insurance. The main reason behind this fact is that hospital systems mark up the cost of their services by an extraordinary amount. Recent reports indicate many examples of this phenomenon. A typical roll of gauze, for instance, that might be used to wrap an injury or surgery site, will show up on a patient’s bill four to five times greater than what it might be purchased for at Wal-Greens pharmacy. As you can see, once these charges are added up, the final bill can be astronomical. Of course, the reason why medical bills are subject to a discharge has to do with the way in which this debt is classified. There are three broad categories of debt involved in the world of bankruptcy: 1) secured debt – this type of debt is typically associated with a car loan or home mortgage; 2) unsecured debt – the reason debts are “unsecured” is because there is no collateral attached to them, such as a piece of real estate; and 3) priority debt – this category would include back child support, maintenance (spousal support), and most tax obligations. There are a few occasions when medical debt is in fact paid back, however. The most common example would involve a St. Louis Chapter 13 bankruptcy in which the court requires that you pay a certain percentage of your unsecured debt back to the creditors. So if you file a Chapter 13 wherein you are obligated to pay a portion of your unsecured debt, and part of your overall unsecured debt includes medical bills, then it is possible that some of your St. Louis medical bills will be paid back inside this repayment plan. 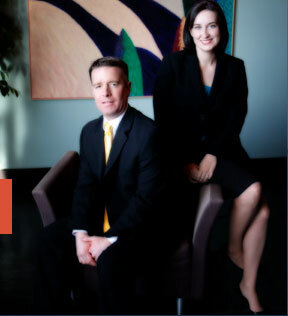 An experienced St. Louis bankruptcy attorney can make sure that your medical bills are taken care of. At Brinkman & Alter, LLC, we specialize in getting rid of your overwhelming debt loads. We understand that the stress of medical collectors can cause a great deal of turmoil in your life. But there is a light at the end of the tunnel. When you file a St. Louis bankruptcy (especially a St. Louis Chapter 7), your medical-related debt is knocked out forever (including your credit cards, payday loans, past utility bills, overdrawn bank accounts, etc).